Rose Hall Great House and Golf Club Estate. Gated Community, 15 Mins to Airport. PARADISE PLUM VILLA – for a memorable and unforgettable vacation experience of a lifetime. 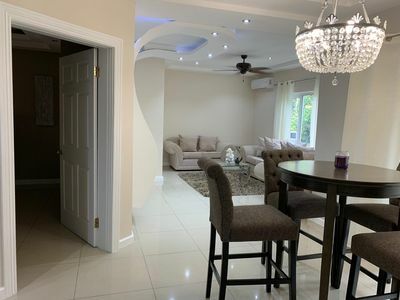 We don't just offer a holiday villa rental we treat you and your family to traditional Jamaican hospitality and service based on care, pride and passion for sharing our piece of Paradise with you. Your Paradise Plum vacation is a full-service vacation villa experience that cannot be compared to a average stay at a resort or an average house stay as it cannot match the level of attention and personalised service that our personal staff provide during your stay. 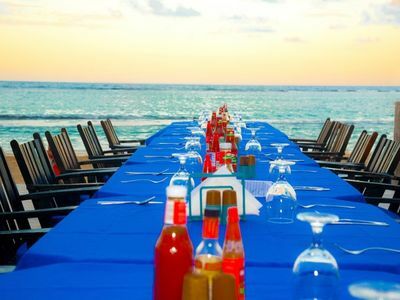 During your stay at Paradise Plum you will be served by your personal head chef to make all your meals that you select and that you wish to have prepared and served as you like. 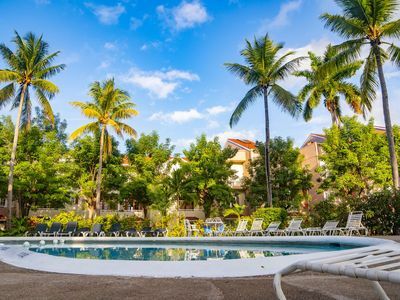 You will also have a full-time butler on hand, to serve you your drinks and meals either by the pool patio or inside lounge rooms and make sure your stay meets your expectations. 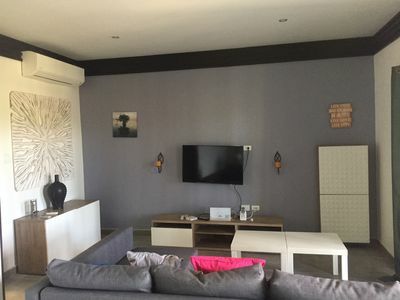 There will also be a housekeeper during your stay, to keep your rooms clean daily and your laundry done as required. 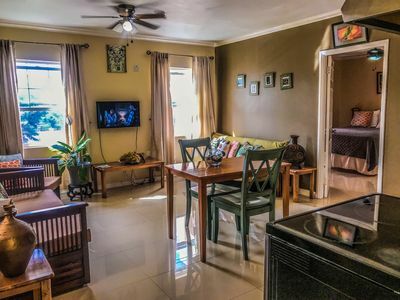 They all have a passion for ensuring you enjoy your stay at Paradise Plum Villa by taking care of everything you need to be done the way you would like them done so that all you have to do is relax and enjoy your stay. 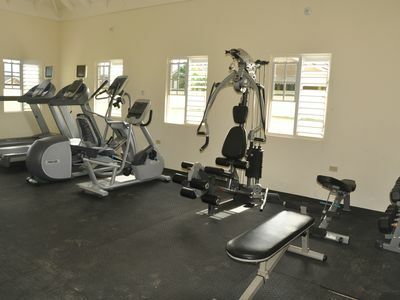 Located in the exclusive Rose Hall Great House and Golf Club Gated community with 24/7 security. Beach access is included at the Rose Hall Beach Club 2 minutes’ drive away. 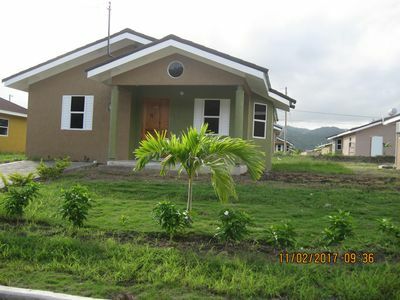 Only 15 minutes from the Montego Bay airport! 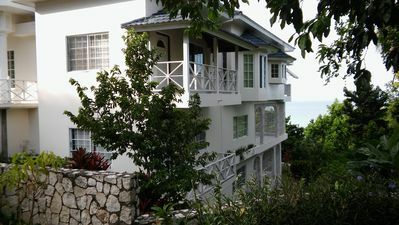 Paradise Plum is adjacent to the beautifully manicured White Witch Golf Course in Caribbean Heights, a private, gated community with two award winning great house tours, the greatest of Jamaican great houses, the Rose Hall Great House has a story with all the elements of an engaging novel as well as the Jonny Cash Great House both famous tourist attraction only steps away from Paradise Plum Villa. ** All bedrooms have new flat screen LED TV. Total of 5 TV's, with one in the private sitting room. ** Internet Wi Fi access is complimentary. And you get internet around the pool! ** Apple TV - Use your Net Flix account here! **Bose Speakers on pool veranda / outdoor dining area. 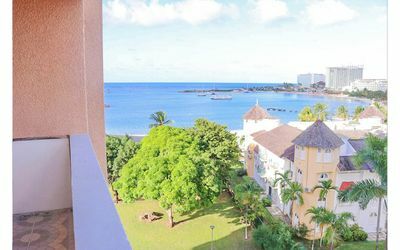 ** Complimentary local mobile phone for Paradise Plum villa guests! So you can keep connected when on island! We will give you 500 free minutes! ** Complimentary international calls with Vonage IP phone - call friends and family back home! Free calling to USA, Canada, UK! 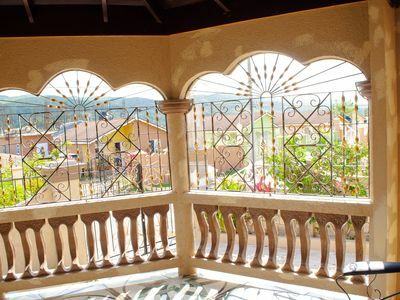 ** Villa located in a 24/7 guarded and gated community. 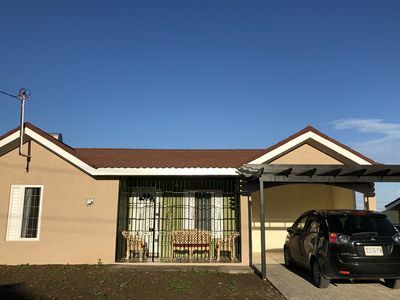 ** Complimentary crib and high chair - family friendly villa! 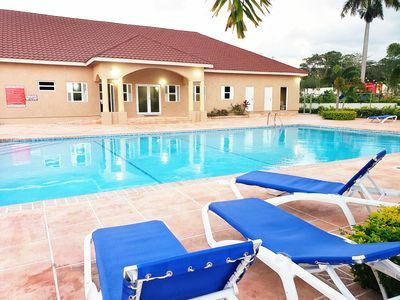 Paradise Plum Villa has a wonderful infinity edge swimming pool for the whole family to enjoy. Sun lovers can enjoy lounging on the 8 pool lounge chairs around the infinity swimming pool, or roll up on the new large wicker day bed. Guests love this day bed, which is also used at night for star gazing around the pool area while enjoying the cooler night breeze from the nearby hills! Please note: there is no lifeguard on duty nor any child proof fencing surrounding access to the pool. Please consider your personal safety requirements of your young children and toddlers when considering staying at this property. 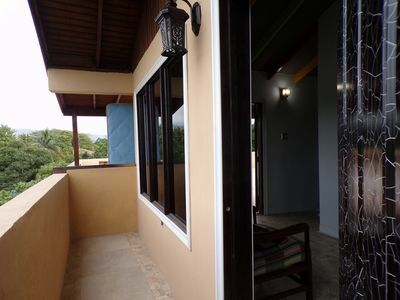 The two upstairs bedrooms have two scenic and great ocean views off the two verandas. The two downstairs bedrooms have large double doors that open up directly onto the pool veranda. An extra twin bed available if required, to sleep separately, or for an extra person. 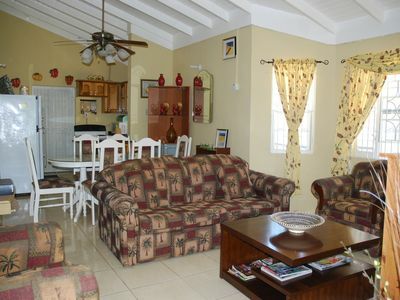 A complimentary crib and high chair are available at the family friendly villa in Jamaica! The private sitting room is equipped with a flat-screen television too. Complimentary WIFI Internet access is available all through the villa, even around the pool! The Apple TV allows guests to use their Net Flix account here. IPod Docking station and Bose speakers are available on the pool veranda and outdoor dining area. 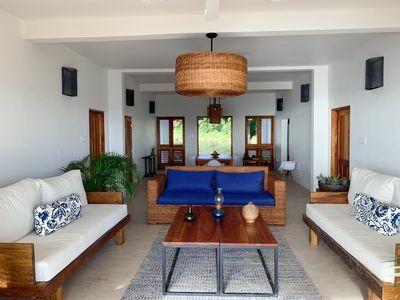 A complimentary local mobile phone with 500 free minutes is available for Paradise Plum Villa guests so that they can keep connected while vacationing on the island! Complimentary international calls can be made with Vonage IP phone to call friends and family back home, with free calls to USA, Canada, and UK. There is a wonderful modern wicker bar seating set under the gazebo by the pool where Paradise Plum Villa guests can either enjoy their tropical drinks or socialize! A great working desk is provided outside by the swimming pool under the covered gazebo area. When it is time to get connected, guests can use this Gazebo area as an outdoor pool office area as internet access is available here so that guests can catch up on the latest emails, online news, or facebook on their laptop or mobile device and stay connected while on holidays. The luxurious stay at Paradise Plum Villa is made more comfortable with the extraordinary butler service, Personal chef, and housekeeper, each with a passion for what they do. 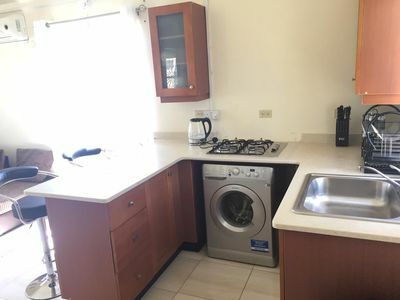 There is a guests’ service kitchen so that if they wake up in the early mornings or stay up very late at night, they can access their own fridge, microwave, coffee, guests snack and food cupboard, and guest bar. The main second kitchen is where all the major cooking action takes place, and is also where the chef creates your wonderful meals of your choosing and to your taste! 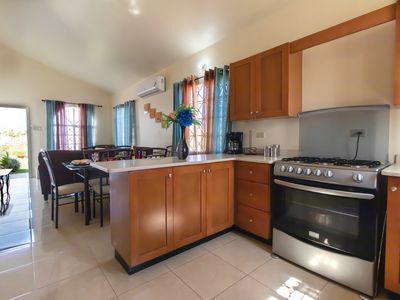 The butler at Paradise Plum Villa is there to make sure that guests have all they need on holiday, and to make the dinner and drink service extra special on the Jamaica villa vacation! 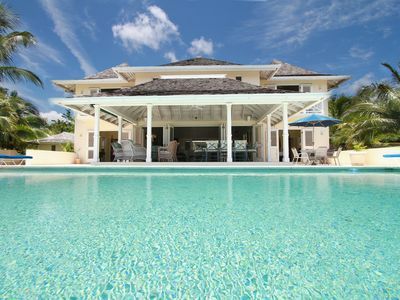 Paradise Plum Villa is located near Montego Bay and is only 2 minutes’ drive to the Rose Hall Beach Club beach where the villa guests have access to enjoy the beautiful white sandy beach. 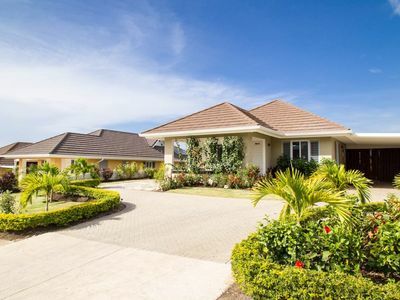 This Jamaica villa is also situated within 5 minutes’ drive to three world class golf courses, including the Cinnamon Hill Golf and Country Club house, White Witch golf and Country Club, the famous championship Half-Moon Golf and Country Club. 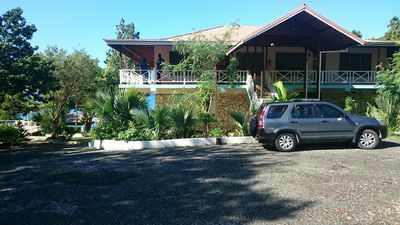 Paradise Plum Villa guests can arrange an optional transportation package for an extra $1000/week or $145/day for a 12-seater air-conditioned van and private driver who will be available for up to 8 hours of a day for local travel between Negil and Ocho Rios. It’s truly a more relaxing and enjoyable way to see other parts of the island as well as do any shopping or sightseeing. With your confirmed booking for 2019, you will be entitled to the transportation package complimentary with your stay. Full Massage and spa treatments are also available during your stay at Paradise Plum and there is no additional call out charges if you would like the treatment at the house. Transportation, gratuities, food and beverages are to the guests account and not included in rental rate. Make an inquiry or contact me to see how we can help you experience a vacation to remember. I Heart JA Modern Luxury Villa Drax Hall! Sasha's Sanctuary: Your Home Away From Home With all the Comforts!